When social, emotional mental health (SEMH) was included in the revised SEND Code of Practice it provided an opportunity for the entire education workforce to rethink how we identify and support vulnerable children and young people, and the role each practitioner has to play in providing support. 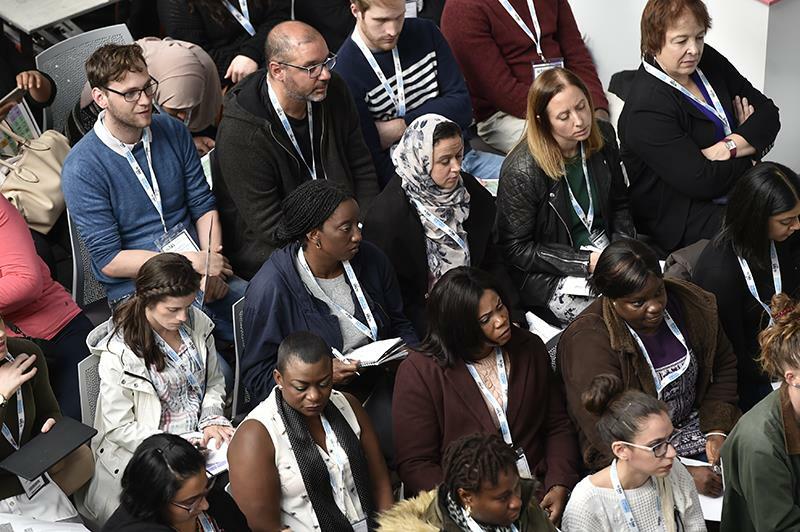 These discussions and debates will take centre stage at this year’s Tes SEN Show, which offers practical workshops, CPD seminars, and opportunities for education professionals to network over a two-day period at the Business Design Centre in Islington, London. The show’s opening keynote will feature a panel debate focusing on the impact that SEN can have on SEMH, how in turn children and young people with SEN and/or SEMH respond to education and the support available to pupils and staff. In December 2017, the government put forward proposals on children and young people’s mental health in its Green Paper, Transforming Children and Young People’s Mental Health Provision, looking at ways for schools and colleges to support pupils’ mental health, as well as plans for new mental health support teams. In its response to the Green Paper consultation, published in July, the government has now outlined proposals to improve mental health support for children and young people in England. More than £300 million has been made available to fund them. As the Green Paper emphasised, one in 10 (around 850,000) children and young people have a diagnosable mental health condition. These illnesses can have a devastating impact on their physical health, their relationships and their future prospects. The challenge often extends into a person’s adult life, with half of all mental health conditions beginning before the age of 14. The keynote debate will feature representatives from the Department for Education, Gloucester House The Tavistock Children’s Day Unit, Young Minds, and a specialist advisor and advocate for people with autism and their families – as well as issues raised by you, the audience. This year’s event includes 42 CPD seminars focusing on SEMH as it relates to specific SEN, government policy, assessment and the broad areas of need as set out in the SEND Code of Practice: 0 to 25. Seminars offer practical applications and techniques and where available, delegates will have access to handouts for presentations at the event. The show is free to attend – all visitors have full access to the exhibition, the Exhibitor Workshop Theatre, the Spotlight Theatre and the Parent and Carer Forum. The opening keynote debate is also free but delegates must register their interest in attending during the registration process. Key stages 1 to 4: Maximising the impact of TAs – an update on the latest research on teaching assistants and their role in supporting pupils with SEND (Rob Webster, director, MITA, UCL Institute of Education, 12:30pm, October 5). Key stages 1 to 4: SEN reporting and preparing for Ofsted – helping those working in special schools, units, hospital schools and pupil referral units to be “Ofsted-ready” (Lynda Morgan, Teaching School director & Jessie Walker, headteacher, Maplefields Academy, Northamptonshire, 3:30pm, October 5). Key stages 1 to 4: Attachment theory and practical strategies for support – attachment difficulties affect around 40 per cent of young people in our schools and understanding those needs is essential in helping students to learn (Nicola Marshall, trainer, author and Coach, BraveHeart Education, 2pm, October 6). Key stages 1 to 4: Building strengths and resilience in children, young people and adults – this session will allow participants the opportunity to reflect on their strengths and weaknesses when addressing the needs of traumatised and troubled children (Aqualma Murray, independent trainer, consultant and coach, Aqualma Empowerment Services, 2pm, October 6). Key stages 1 to 4: Getting started with assistive technology – what are some of the solutions that you can use to make learning activities more accessible for students? How do you work out when to introduce technology? Practical ideas, clear examples and plenty to take away and try (Carol Allen, senior advisory consultant, ICT and inclusion, 2pm, October 5). Key stages 1 to 4: Assessment and diagnosis of maths difficulties and dyscalculia – assessment and diagnosis of this heterogeneous population requires a flexible protocol, focusing on key factors such as working memory and recall of basic facts. This session looks at the “clinical” interpretation and use of a mix of standardised and informal tests (Steve Chinn, independent consultant, 11am, October 5). Key stages 1 to 5: Identifying SEN: how can we be sure that a pupil has SEN? How clear are we in articulating our additional to and different from provision? What are the implications for developing and growing our universal provision for identification of SEN? How confident are we that, with limited resources, we are targeting and meeting the needs of those with SEN? (Jane Friswell, SEND consultant and advocate, JFA SEND Consultancy, 3:30pm, October 5). Key stages 2 and 3: SLCN and SEMH understanding the links – for some children, anxiety or behaviour can be traced back to underlying speech, language and communication needs and children with identified SLCN are at higher risk of mental health difficulties. This seminar will look at this relationship, discuss how to spot hidden SLCN and consider strategies to support children with these difficulties (Wendy Lee, speech and language consultant, Lingo, 2pm, October 5). Key stages 2 to 5: Assistive technology for writing: theory and applications – this session will look at current models of the writing process and discuss why writing difficulties are not limited to transcription. It will also consider an on-going study of dictation software and identify some promising applications that can have a role in overcoming this final barrier of “getting it down on paper” (John Rack, associate professor, Linnaeus University, 3:30pm, October 5). Key stages 2 to 5: Supporting the emotional needs of the student with dyslexia – taking a holistic view, this session will not only cover a range of practical teaching ideas to help you support access to learning, but additionally, demonstrate how you can capture authentic student voice and personalise an effective response to it (Carol Allen, senior advisory consultant, ICT and inclusion, 2pm, October 6). Key stages 3 to 5: ADHD and associated difficulties in secondary and post-16 settings – the session will include an overview of the issues associated with transition for learners with ADHD into secondary and post-16 settings, and issues relating to teenage and young adult ADHD (Colin Foley, training director, ADHD Foundation, 12:30pm, October 6). Key stages 1 to 5: Developing mental security for both staff and students, to enable effective management of behaviour – how to create emotionally intelligent schools which enhance and support mental security for all (Victor Allen, behaviour consultant, specialising in emotional intelligence and mental security, Mirror Development & Training, 12:30pm, October 6). Key stages 1 to 5: Understanding the impact of trauma and distress in children who have experienced abuse – the presentation will offer scenarios that will assist professionals in appreciating the journey of rebuilding confidence and resilience in those who have been hurt emotionally and may be experiencing mental health difficulties (Aqualma Murray, independent trainer, consultant and coach, Aqualma Empowerment Services, 11am, October 6). Key stages 1 to 5: Sensory engagement for mental wellbeing – an introduction to how simple sensory strategies can be used to support good mental health for individuals whose primary experience of the world, and meaning within it, is sensory – for example individuals with profound and multiple learning disabilities or complex autism (Joanna Grace, sensory engagement and inclusion specialist, founder, The Sensory Projects, 2pm, October 6). Key stages 3 to 5: Understanding mental capacity in relation to young people with SEN – this session will explore the Mental Capacity Act 2005 as it relates to young people with SEN (Caroline Bennett, assistant director for social care, Council for Disabled Children, 3:30pm, October 5). Key stages 1 to 5: Dignity & Inclusion: Supporting inclusion of children and young people with complex health care needs – this session will help attendees to understand the statutory guidance and the effective practice in existence which can support inclusion (Anna Gardiner, principal officer, Council for Disabled Children, 12:30pm, October 5). Key stages 3 and 4: Keep me in school – exploring effective ways of preventing school exclusion for our vulnerable students and providing supportive inclusive offers as alternatives (Jane Friswell, SEND consultant and advocate, JFA SEND Consultancy, 11am, October 6). Key stages 1 to 4: All Together: A whole school approach to reducing bullying of disabled children and those with SEN – this interactive workshop will look at what research says about bullying behaviour and how to turn this into effective anti-bullying practice (Nicola Murray, senior programme lead, Anti-Bullying Alliance, National Children’s Bureau, 3:30pm, October 5). Key stages 1 to 5: Implementing reflective and restorative practices within education – in this seminar delegates will be provided with information on the theory and research behind the use of reflective and restorative practice in education (Dr Asha Patel, CEO and clinical psychologist, Innovating Minds CIC & Laurie Cornwell, executive headteacher , Orchard Hill Academy, 2pm, October 5). A key attraction of the show will also be the traditional exhibition of products and services relevant to SEN education and professionals. There will be more than 160 exhibition stands at the event, including a range of products and services, resources, charities, and more. In addition to the show’s exhibition, exhibitors will take part in free demonstrations and presentations as part of the Exhibitor Workshop Theatre, available throughout the two-day event. The Spotlight Theatre is available on the Friday (October 5) only and provides an opportunity to hear from a selection of exhibitors giving informative, 30-minute presentations about their products and how they can support practice. These sessions are free to attend and cannot be pre-booked – so arrive early to get a seat. Beverley Walters is the head of content for the Tes SEN Show.